As a college student, social media can be a powerful tool. Not only can you use social media to connect with friends and family back home – you can also use it to find jobs and connect with recruiters. However, you also have to realize that social media can be dangerous if you misuse it. Indeed, you could become sucked into the vortex that many people get sucked into when they use applications such as Instagram or Facebook. Because of this, you have to find a way to limit your exposure and you have to take preparations so that you don’t procrastinate. The truth of the matter is that procrastination can get in the way of school work and take time away from studying for exams. The last thing you want is to spend all night on social media when you should be studying. Here are five smart social media tips for college students. More than anything, you want to be sure that you keep your social media time to a minimum. This is especially important when you have schoolwork that needs to be completed. For instance, you may want to tell yourself that you are only allowed a maximum of thirty minutes on a certain page. After that, you want to use your willpower to sign out and shut down. If that doesn’t work, then try setting an alarm so time doesn’t get away from you. Of course, you also want to avoid setting up superfluous social media accounts. The last thing you want is to have four different social media profiles that you check on a regular basis. This is especially the case if you have social media connectivity on your phone. Instead limit your activity to just a couple sites that you use most frequently. Social media a great way to connect with friends, and even family, back home. Whether you are taking Case Western online courses or an in-person program somewhere else, you may start to feel the pangs of homesickness. With a social media account, you can talk with friends, chat with them, send them photos and keep them updated with things that you are doing in your life. 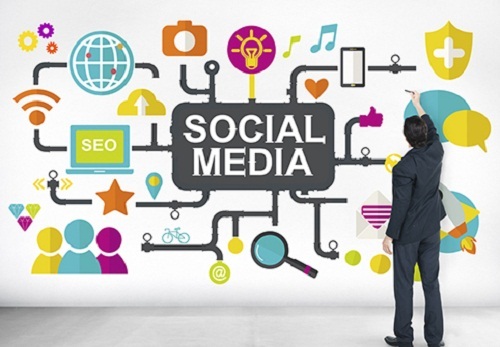 Social media can also be a great tool for seeking a job. Oftentimes, recruiters are searching through social media, especially LinkedIn, for individuals who may fit the bill for a certain job. This is why you want to open your profile and not make it private. The whole idea of social media is to keep it social, so the last thing you want is to be exclusive. On top of everything, you want to keep your social media pages clean, especially if you follow Tip #4 and keep it open for potential employers to see. If you air out all your dirty laundry on your social media page or post inappropriate pictures, it won’t look very professional. For more social media tips visit http://wikimodel.org/.